Tracks 2 to 7 also appear on the vinyl version, albeit in a slightly different order. Track 1 is exclusive to the CD release and tracks 6 and 7 are extended versions of the original LP tracks. I JUST Purchased THIS AS mp3 FROM amazon. Is this SUPPOSED TO HAVE some sort OF CRACKLE TO IT ? ALMOST AS IF IT IS A VINYL lp PLAYING ?? I noticed it heavily in track 2..and track 4 the crackle is dreadful.. truly ruins the album for me.. I would absolutely love to add Gas to my collection but the prices are so jaw-dropping. Ate there any plans afoot to make Gas affordable to the unwashed masses ? Definetly Wolfgang Voigt best Album, Higly hypnotic, Dark, deep and beautiful, a pure dream. The whole album is bloody trippy. Go find a virgin forest near you and walk there, breathe its air, feel it and let your mind be soaked by this piece from beginning to the end.. there's something special in testing super atmospheric albums outside and getting memories of (not neccesarily) the first listening and then clearly remembering the place, the mood and even the smell whenever listeining to that or this album again, even after a couple of years. And Zauberberg 7, what a magnificent album closer - one of the most beautiful and epic ones I have ever had a pleasure to listen to. Dark and heavy listening with a reward. Deepness in music redefined and put into position hardly anyone will ever come close. 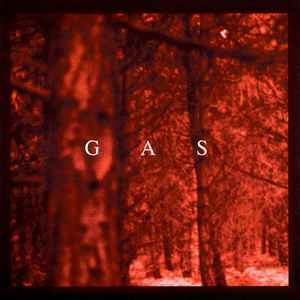 Not long after Gas had caught our attention with his unique self-titled debut in 1996, this classic followed which proceeded to popularize the project with the dub techno and ambient crowd. It's a beautiful world, with a euphoric orchestra and a relentless dub rhythm. Zauberberg I begins without the beat and just wonderful atmospheric pads - this should be Gas' theme tune, since the feeling conjured is light-headedness - a somniferous, beautiful state which sums up the name of the project. Zauberberg II is the start of the lush foggy rhythm and enveloping bass, but with the incomprehensible human voice in the background, it's actually a déjà vu moment. And Zauberberg III has to be one of the crowning achievements of Gas with the enraptured cry of a distant orchestra: this is a spine-tingling psychedelic train journey. In Zauberberg IV, Gas does doom jazz (a genre worth checking out if you are so inclined, I recommend starting with Bohren & Der Club of Gore). Zauberberg V, too, is very murky, with an angry rhythm and infinite depth, and only fragments of the orchestra appearing now and then. In Zauberberg VI, the orchestra builds up from nebulous craters into earth-shattering repining - this is the most defiant Gas composition ever. It's worth noting that the progression in this track is much more obvious than in the usual repetitive Gas track, yet the hypnotism is maintained with the great bassline which is later to be used in Konigforst I. Then we reach Zauberberg VII, similar to the first track and totally beautiful. Overall, this is the foggiest, darkest and most menacing Gas album, yet there is still the right amount of euphoria and moments of alluring ambiance at the beginning and the end. There is huge depth to this music and wonderful subcutaneous layers. This ranks alongside Konigsforst and Pop as Voigt's best compositions. I doubt I will add anything to the descriptions already provided, but I cannot let this release be here without my recommendation. This CD is a drug. No, really, it is. How else can such euphoric emotions come about by a mere ambient work? Personally, I hate ambient music. If it weren't for the subtle kick-drum beat during most of this album I probably would have turned away... at any rate, the droning beat, the ominous dark pads, the deep atmospheres all create a haunting, isolated environment that is addictive and demented. At a close second place are the Oktember and Königsforst releases. But Zauberberg is one of the most important minimal releases on Discogs. Yes, one of the best releases on MP. It's something undescrible how this music can affect you - first track is nothing but ambient sound layers, which puts you in the state of blissfulness and makes you don't want to go back. All other tracks have pumping beat - just like the second one, my favorite. No words can describe the pure beauty of this sound imagination. Beauty which hides under the layers of distortions and roughnesses, but can be uncover by attentive listener. Although minimal this album bursts of emotion mainly due to subdued orchestral strings that emerge constantly during your march. I say &quot;march&quot; because <B>Zauberberg</B> is not a meandering ambient release, but feels pretty directional and uses foggy beats to keep things evergoing. Truly delightful album.